You will add many Cheats: Infinite Health , Infinite Stamina , Infinite Food , Infinite Water and many more. Welcome to Apocanow! This article shows the trainer of the game 7 Days to Die and contains a little guide to its use in separate pages, you will also find possible solutions and tricks of the game. Not only that, we can also offer you the tricks and codes of this game! 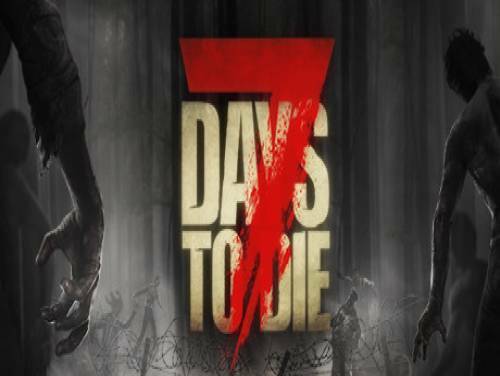 See the tricks of 7 Days to Die of apocanow, that is a selection of cheating and strategies to overcome any hostility the game puts you in front of you, together with the tricks you can also find the list of Objectives and Trophies and how obtain them. 7 Days to Die is an open-world game, which is a unique combination of first-person shooter, survival horror, tower defense and role playing games. To play the ultimate zombie survival sandbox RPG that came before it. Navezgane is waiting for you! The program you are about to download was not created by Apocanow. However, we have permission to publish and publicize by the authors of the Trainer 7 Days to Die Trainer - vALPHA 17.1. The contents of the file are virus free, even if sometimes they can trigger the AV as false positive. You MUST run the game without anticheat. This trainer only works for singleplayer. crafting otherwise the new crafted item will be set to 99 as well. be able to even if you have no ammo at all.